The illustrations for F. Scott Fitzgerald’s Tales of the Jazz Age, drawn by John Held, Jr., epitomized the carefree flapper era of the 1920s. Following the hardships of the immediate postwar era, the United States embarked upon one of the most prosperous decades in history. Mass production, especially of the automobile, increased mobility and fostered new industries. Unemployment plummeted as businesses grew to meet this increased demand. Cities continued to grow and, according to the 1920 census, a majority of the population lived in urban areas of twenty-five hundred or more residents. Jazz music, movies, speakeasies, and new dances dominated the urban evening scene. Recent immigrants from southern and eastern Europe, many of them Catholic, now participated in the political system. This challenged rural Protestant fundamentalism, even as quota laws sought to limit new immigration patterns. The Ku Klux Klan rose to greater power, as they protested not only the changing role of African Americans but also the growing population of immigrant, Catholic, and Jewish Americans. 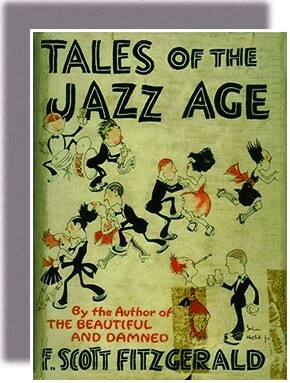 This mixture of social, political, economic, and cultural change and conflict gave the decade the nickname the “Roaring Twenties” or the “Jazz Age.” The above illustration, which graced the cover of F. Scott Fitzgerald’s Tales of the Jazz Age, embodies the popular view of the 1920s as a nonstop party, replete with dancing, music, flappers, and illegal drinking.